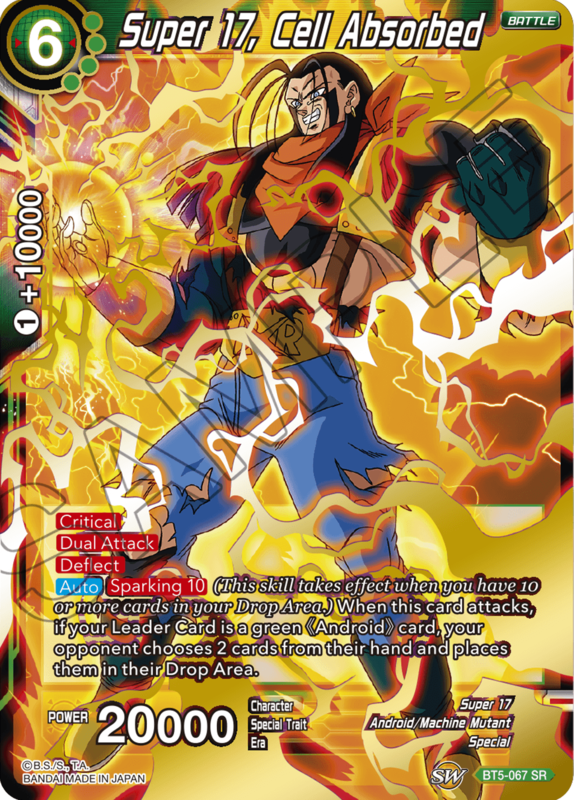 We’re revealing all the SR cards you didn’t see in the preview video! 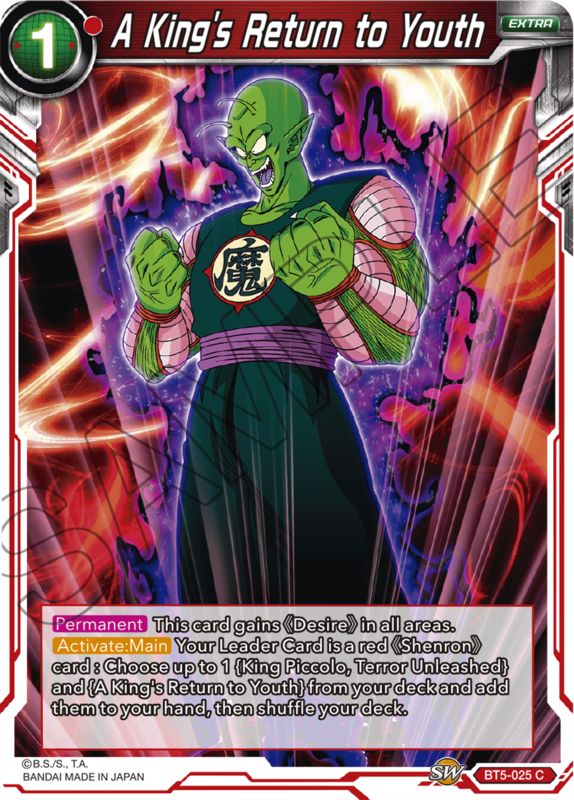 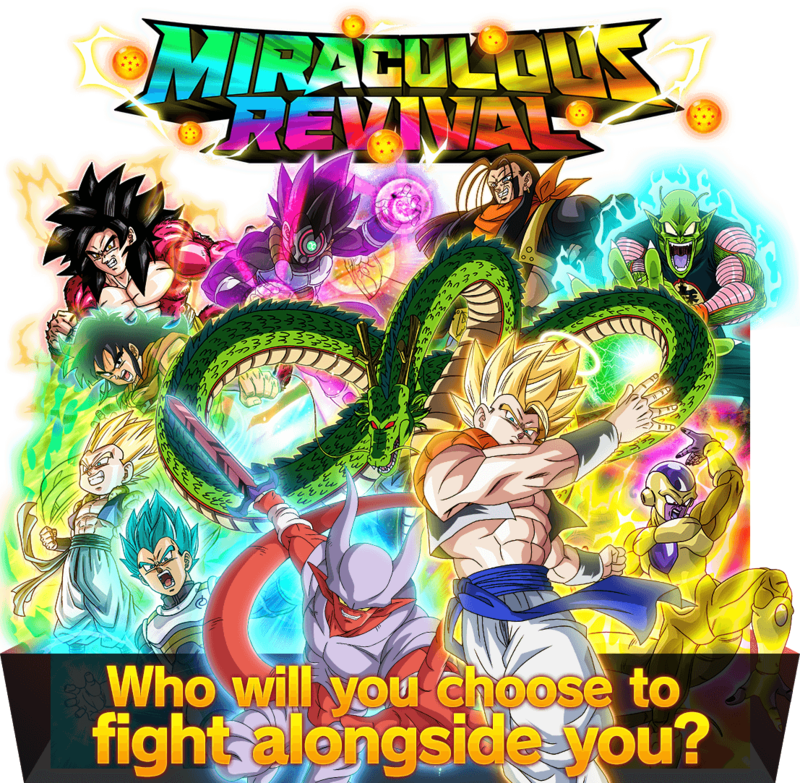 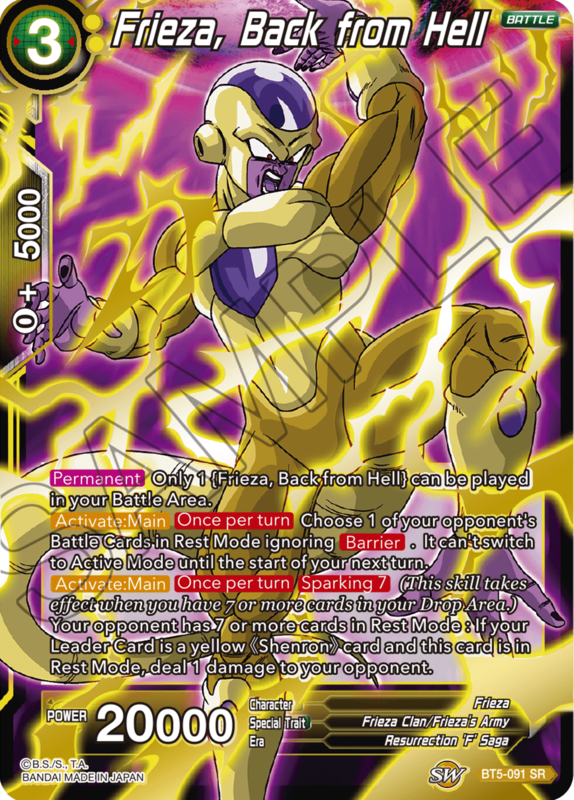 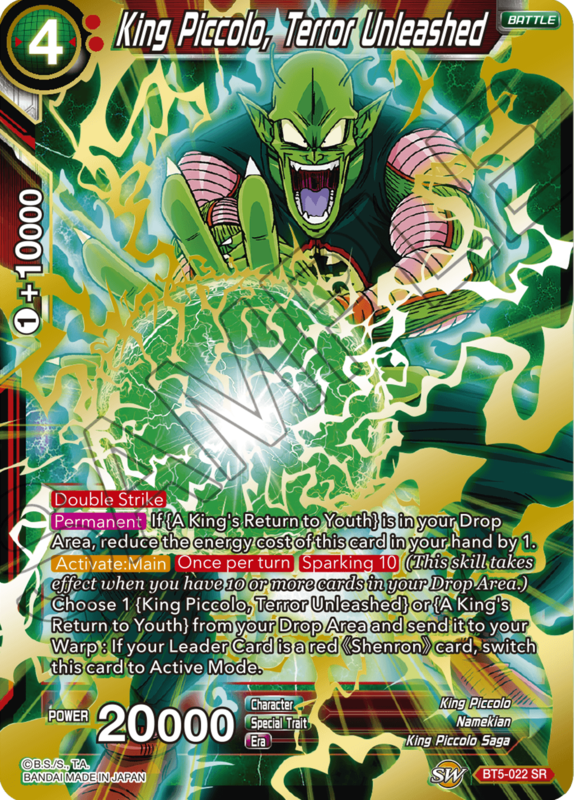 Use the BT-025 Extra Card to bring out King Piccolo’s full potential to attack multiple times! 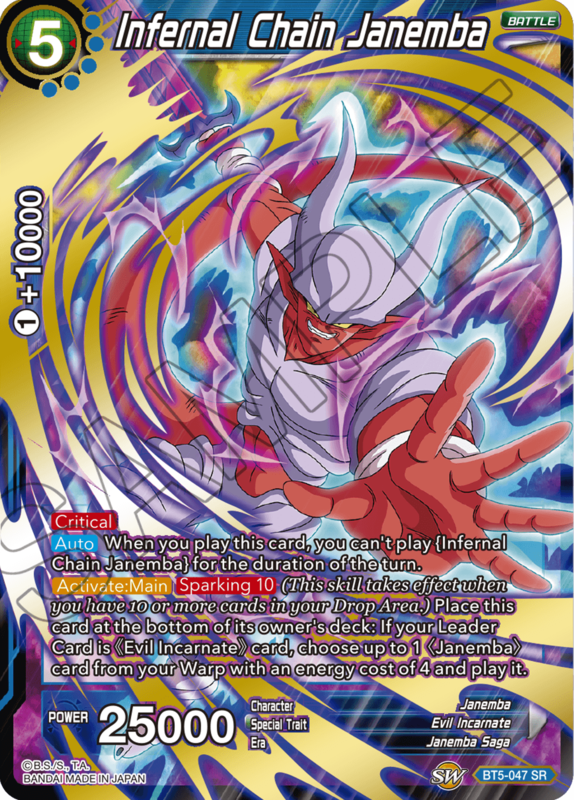 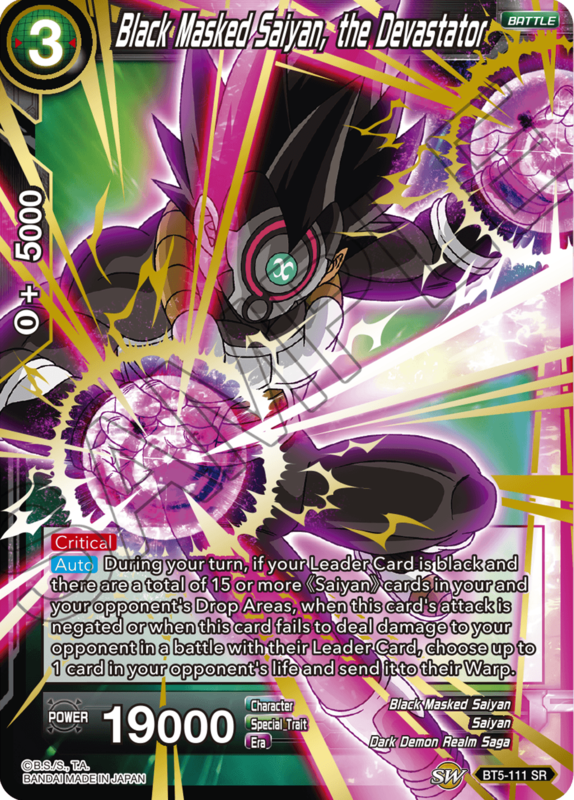 Recreate Gotenks’s ghostly onslaught to clear your opponent’s board! 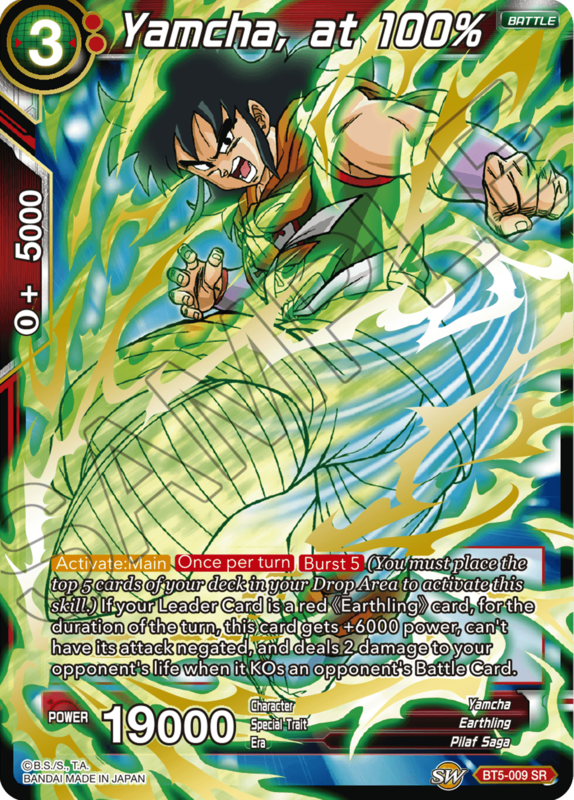 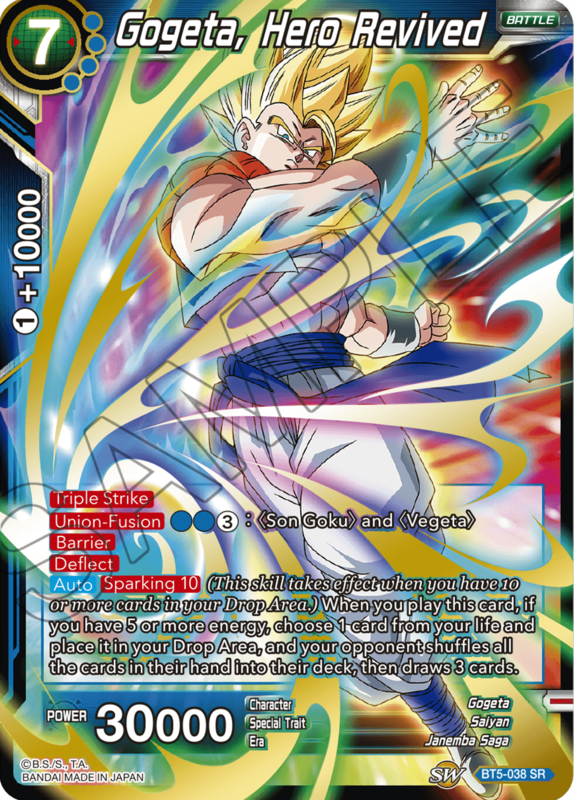 Use Shenron’s power to wipe out or nullify your opponent’s Battle Cards, then go for the jugular with Dual Attack and Double Strike! 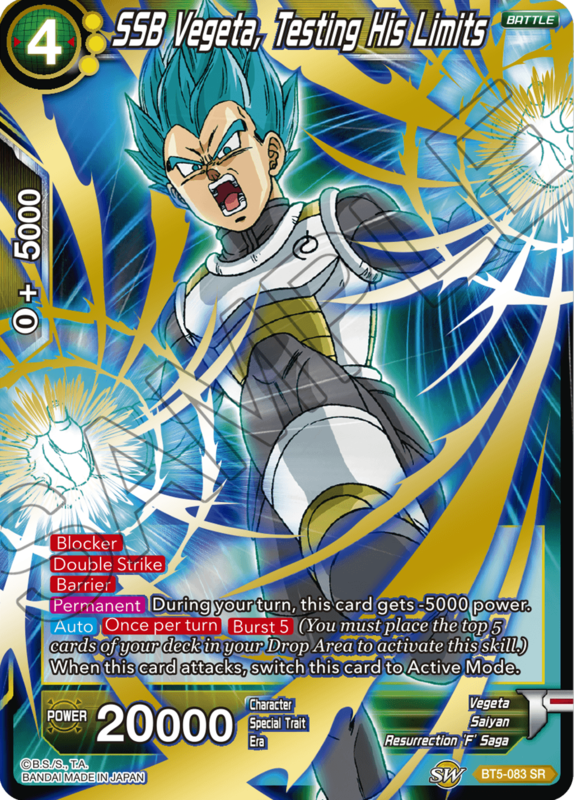 With Barrier, Blocker, and a Burst skill that keeps him in Active Mode after an attack, this Vegeta excels at both offense and defense! 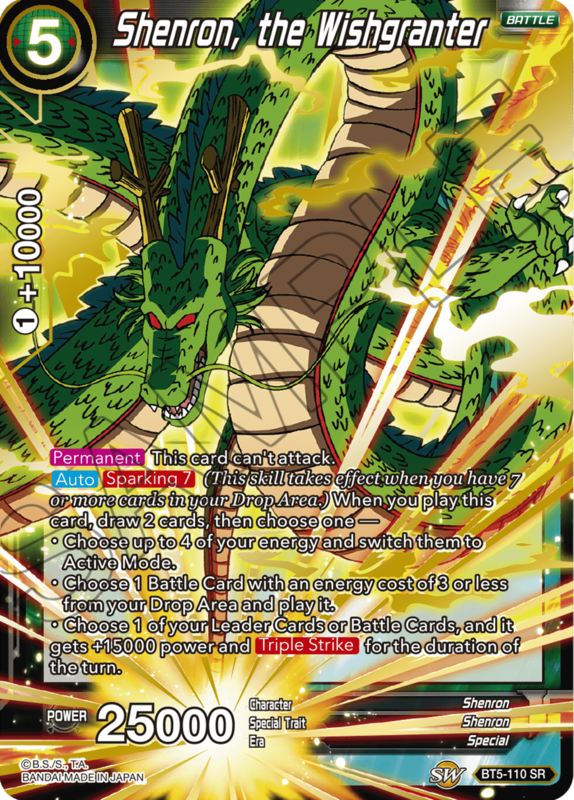 Shenron might not be able to attack, but with a suite of powerful Wish Leader skills, this mighty dragon can handle anything else that comes your way! 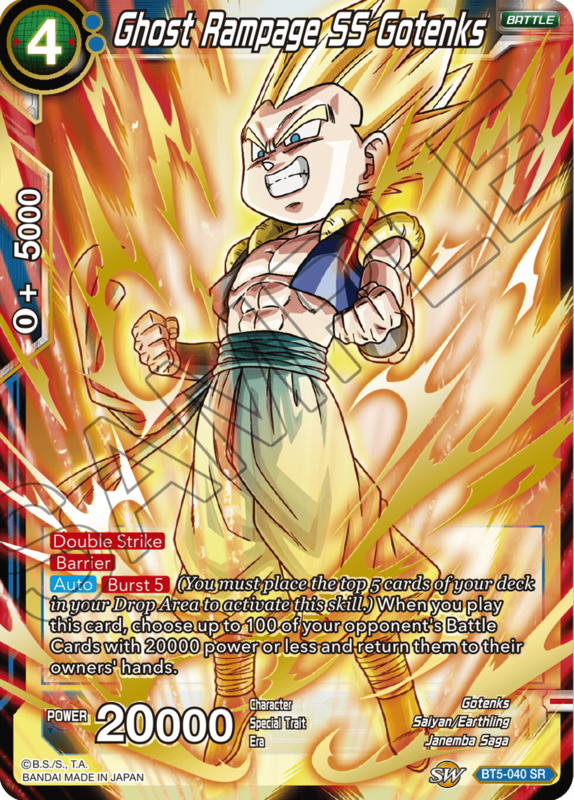 This series brings 11 hyper-powered SRs to the table, along with 11 SPRs! 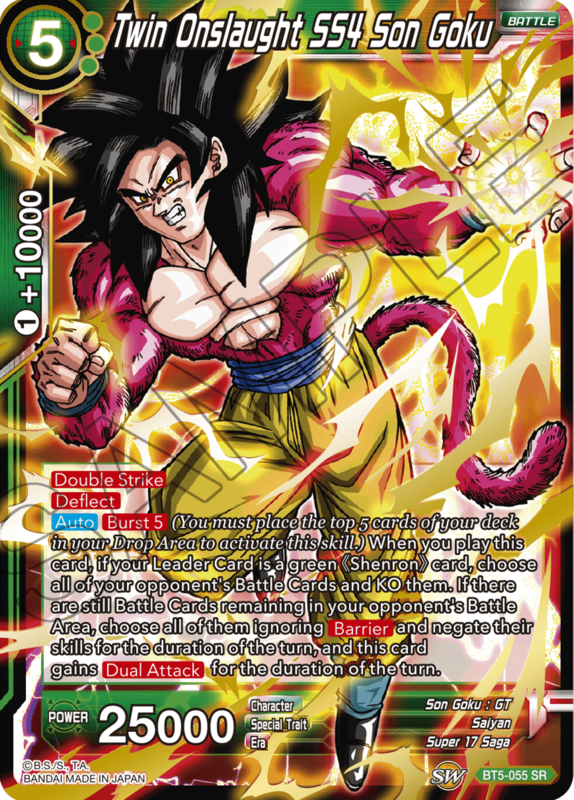 Collect them all, and complete your collection!